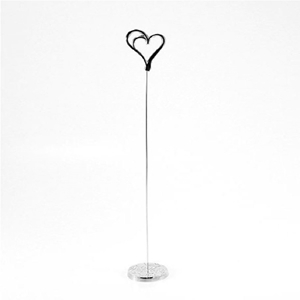 This stationery holder is made of alloy metal wire with a matte black finish. 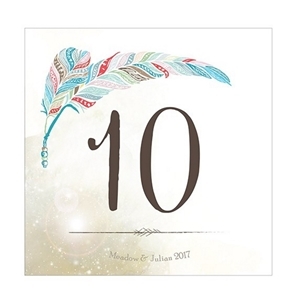 Use with table numbers, photographs or any other stationery of your preference. 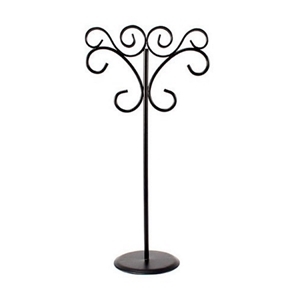 It is sold in packages of 6 and its measurements are: 9 1/2'' tall x 4 1/2'' wide with 2 1/2' diameter base. 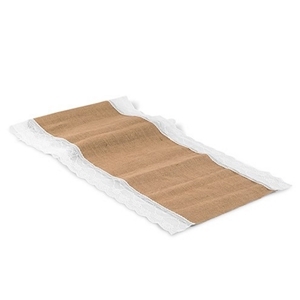 This table runner is made of natural burlap that is lined with lace and has machine serged edges. It comes in two sizes that measures: (90' / 2.3m long): 14' (W) x 90' (L) (120' / 3.0m long): 14' (W) x 120' (L) This is not suitable for machine washing - spot clean or dry clean only. 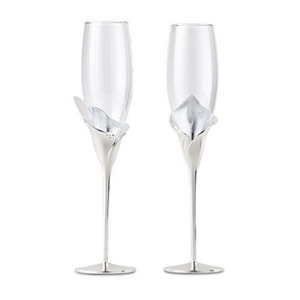 A Champagne glass set with a silver plated handle shaped like a calla lily; this could not be a more perfect pair of glasses for a bride and groom. Calla lillies are after all, an unofficial wedding flower. 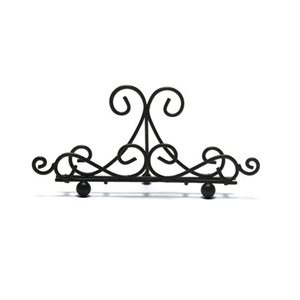 The handle is made of zinc alloy and measures 2.6 inches in diameter and 10 inches in height. The glasses are sold in a set of 2. 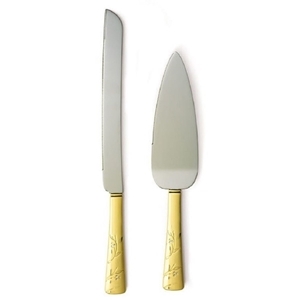 Especially embellished for weddings, this serving set features two tones of the perennially captivating gold finish with crystal gems and embossed floral design on its handles. The knife measures approximately 13 inches in length with 7/8 of an inch in width, while the server measures about 11 in length and 2 in width. Ornamental stationery card holder is made of acrylic, alloy metal that is sold in a set of 6. It measures W 1 3/4'' x H 4 3/4''. 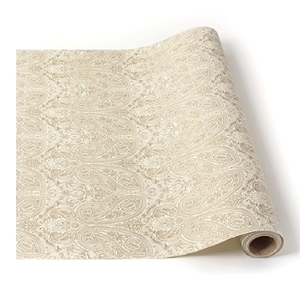 This paper table runner, featuring a paisley design, measures 25' (L) x 30” (W). 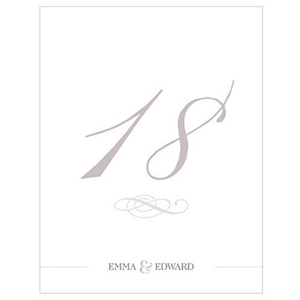 Perfect for accenting an elegant wedding theme. 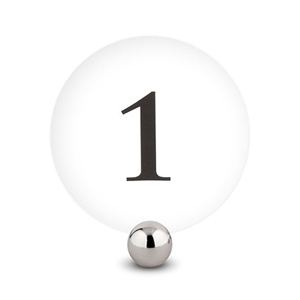 Large black numbers printed on both sides of the card, for easy visibility. It measures 5' in. and sold in a set of 12, ordered numerically. 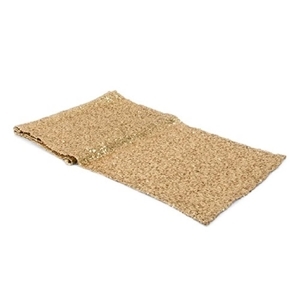 This table runner contains gold sequin beads that are secured to a tulle fabric mesh. The edges are machine stitched for durability while also achieving a nice finished look. It is available in 90' in. and 120' in. in length. The 90' in. measures: (90' / 2.3m long): 90' (L) x 14' (W). The 120' in. measures: (120' / 3.0m long): 120' (L) x 14' (W). It is made with polyester and is dry clean only. 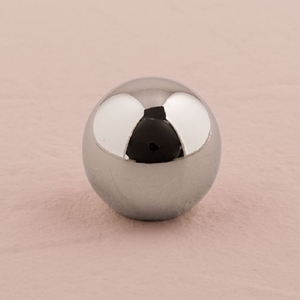 Silver plated round card holder is made of alloy metal and sold in sets of 8. It measures 1 1/8' in. in height. A practical, garnishing piece fit for weddings and all things ceremonial. 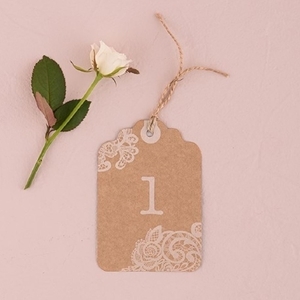 This table number tag features a lace print that is combined with natural kraft paper. It includes twine that can be tied to centerpieces for a new take on table numbers. This item is sold in packages of 12 and measures 4 1/6' (W) x 6' (H). As far as joyous occasions go, weddings have the unique privilege of being an unabashed aesthetic showcase. 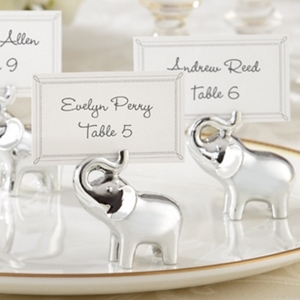 Countless hours go into planning and acquiring the right wedding décor to leave a lasting impression on the guests. One category of wedding products that, when done right, leaves the guests truly impressed is wedding tableware. Wedding tableware essentially comprises of items that are placed (or might be required) at either the tables reserved for the guests and the table that the bride and the groom will be occupying during the reception. The selection of quality wedding tableware shows your commitment to attention to detail, ensuring all attendees have the best possible experience at the reception from start to finish; such traits rarely every go unnoticed. What Does Wedding Tableware Comprise of? In theory, wedding tableware isn’t too different from the kind of tableware that might be used at other formal occasions. 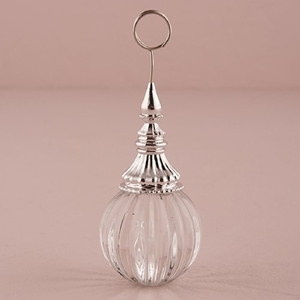 The most crucial differentiator is how there’s a greater focus on aesthetics; almost all subcategories of wedding tableware feature ornate designs and an immaculate construction consistent with the theme. 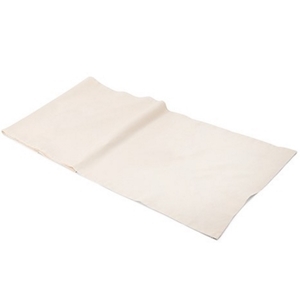 Take table cloths and table runners, for example. Both these items serve their primary purpose of dressing up the tables with elegance while providing protection to the surface, even hiding any blemishes on it. The pleasant design, coordinated to the wedding décor, ensures the tables are in line with the aesthetic envisioned for the ceremony. The same applies for items that are to rest on top of the table cloths and table runners, namely the plates, cutlery, and drinkware. 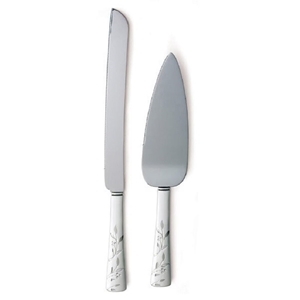 When it comes to cutlery, what is typically used at a wedding is primarily focused on design. From the cake knifes to the spoons, all wedding cutlery comes in attractive metallic finishes like silver and gold, with painstakingly finished handles that exude the finesse required and appreciated at a wedding. Even plates, which largely feature a minimalist design, still find a way to blend right in with the more elborate tableware. Drinkware trends to be more dramatic in its execution. The glasses can be made out of intricately designed crystal, or featue metal electroplating in a shade that compliments the cutlery. Another indispensable category of wedding tableware is the placeholders. Placeholders comprise of two items, a holder to go on the table, and accompanying card. 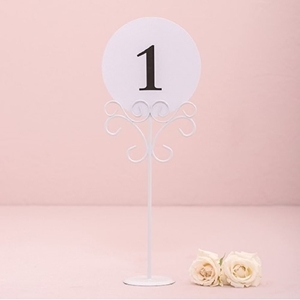 As with other wedding décor, a very heavy emphasis is put on the designs of the placeholders so that while they perform their allotted task of enunciating who goes where, they look like they belong on the table. 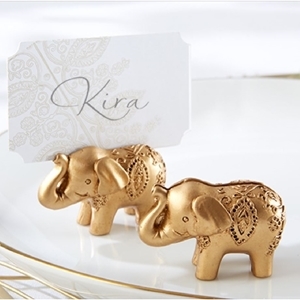 The same applies for the place cards, which should ideally be made of quality card stock that allows them to remain firm, while featuring lettering that is in line with the established visual style. Planning for every aspect of a wedding can be phisically and emotionally exahusting. At CeremonialSupplies.com, we aspire to help you out every step of the way. 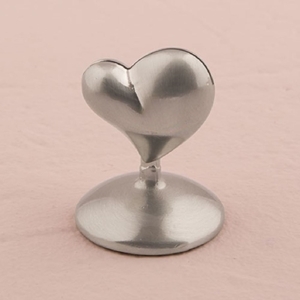 Just as with wedding keepsakes, ornaments and other wedding accessories, our collection of wedding tableware is carefully selected to only provide you with fail-proofproducts. We look forward to helping you find the most exquisite wedding tableware. Contact us by phone at 1877-373-4273 or e-mail sales@ceremonialsupplies.com.